PIC32 Development Board with long range RF, USB, LCD & Wifi support. 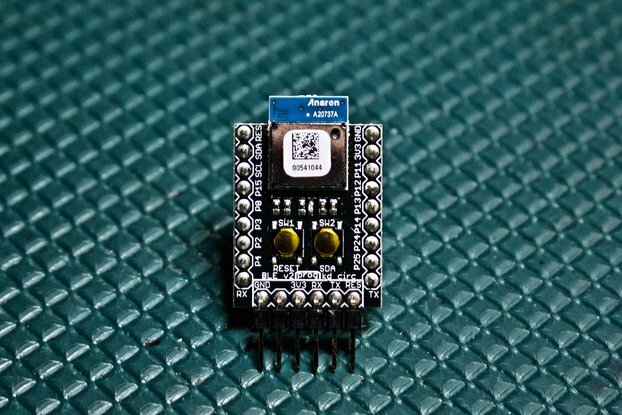 Runs Arduino code making it a cheap and powerful alternative. PCB Only. 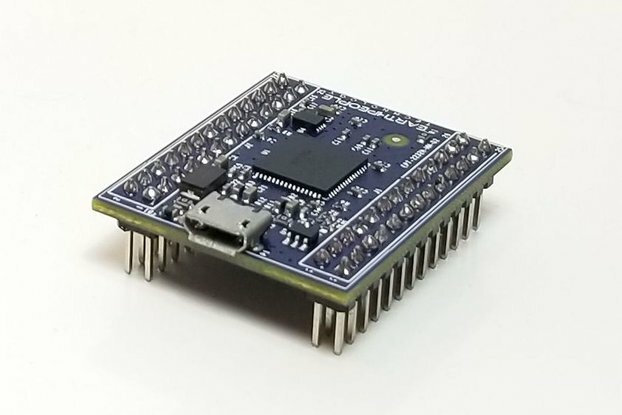 The nanoTRONICS32 is one of our latest PIC32 development boards, for Microchip's powerful range of 32-bit microcontrollers. 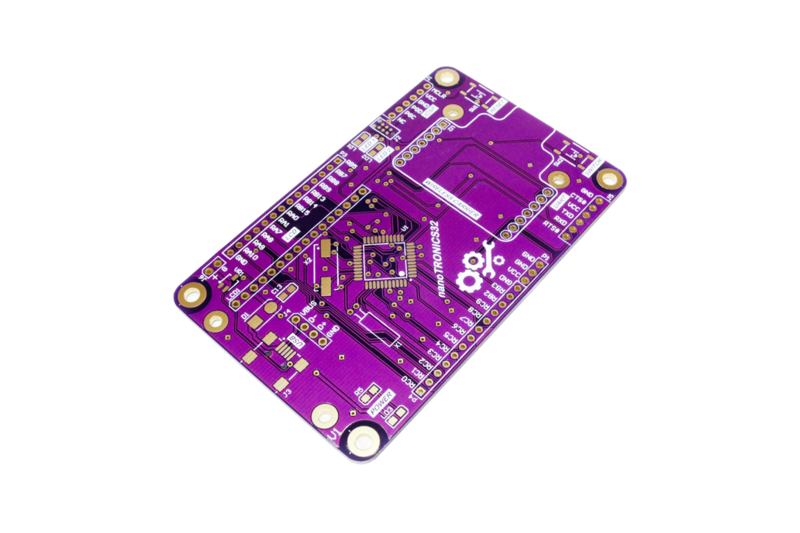 This development board offers a number of advanced features including, an LCD interface, mini-USB connector (including USB powered) and RF interface via one of our breakout board mounting headers. 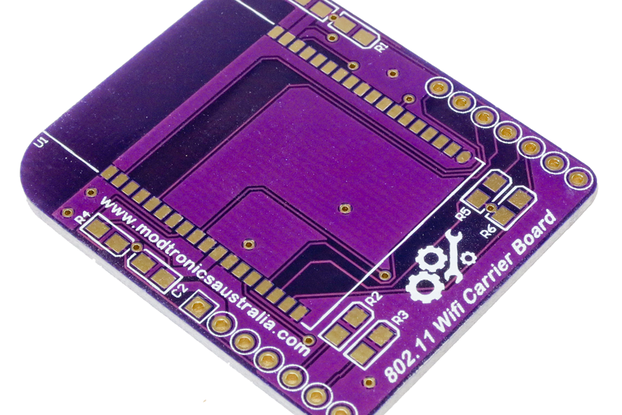 Compatible RF breakout boards include our RFM22B, RFM12B, RFM69HW and Wifi breakout boards. 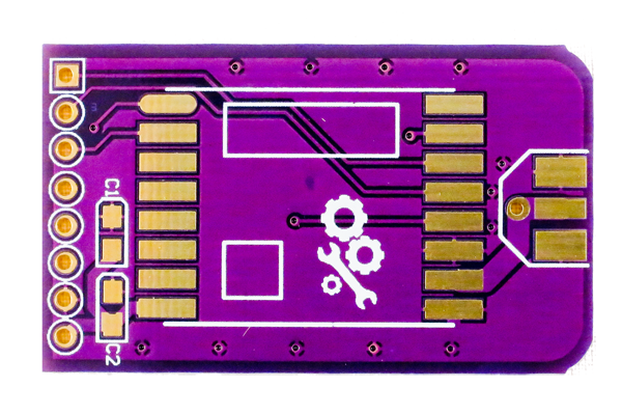 This dev board is an extremely high quality microcontroller development board, featuring our stylish purple soldermask and a high quality ENIG finish (for easy soldering). 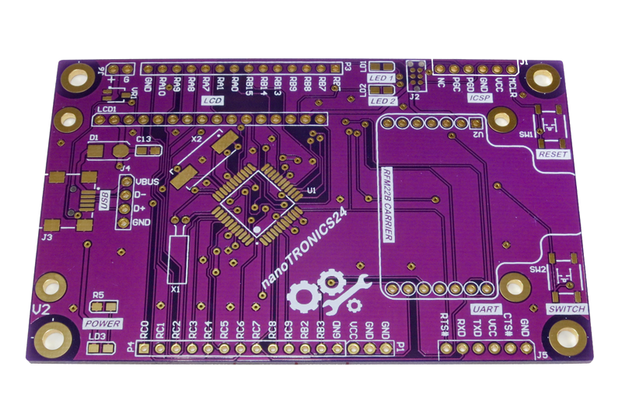 This board is designed for those who want a powerful 32-bit development board with features such as USB, a 16x2 character LCD and RF wireless support, it is well suited for those who want to get cracking on their microcontroller projects straight away. 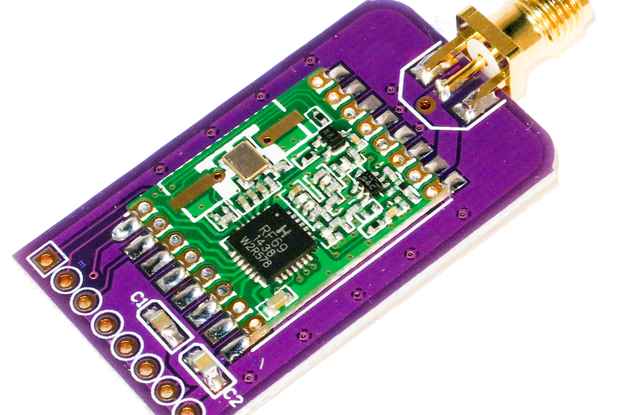 The nanoTRONICS32 is a very powerful and simple to use 32-bit microcontroller development board. It requires minimal external components and as such you'll be up and running very quickly. The nanoTRONICS32 is designed for Microchips powerful range of 32-bit microcontrollers in 44-pin TQFP packages. 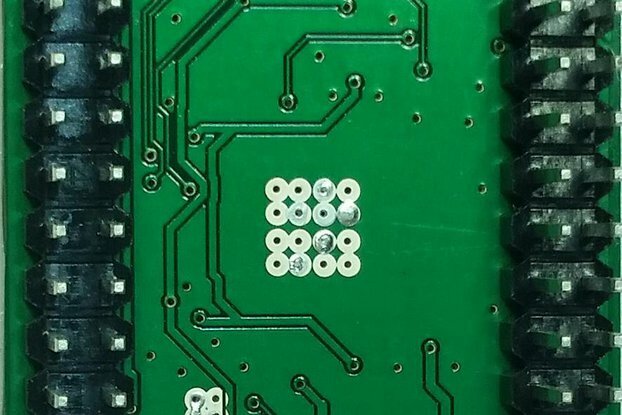 We really like the PIC32MX250F128D-I/PT, but Microchip also offers many other PIC32 devices in 44-pin TQFP packages that are compatible with this board. The PIC32MX250F128D offers numerous features including: USB , inbuilt oscillator (very stable), ADCs, hardware RTCC and peripherals that support peripheral pin select (allowing them to be assigned to almost any IO pin) including: 2 x UART, 2 x SPI, 2 x I2C, Charge Time Measurement Unit (CTMU) for capacitive touch interface and many more. 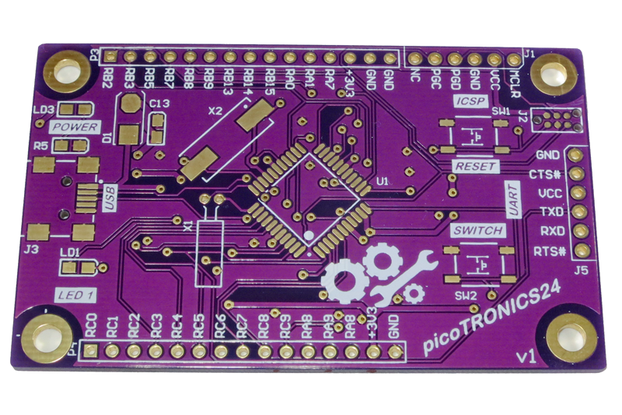 When using the PIC32MX250F128D microcontroller the picoTRONICS32 can be used as an Arduino compatible board. The MPIDE software for this can be downloaded here. 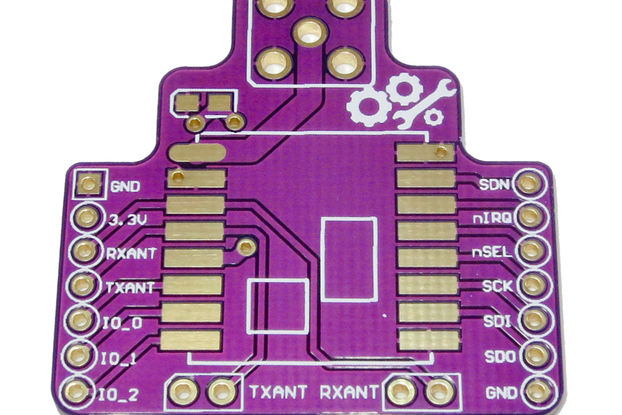 Want to do a DIY build of our nanoTRONICS32 PCB and don't have the parts? 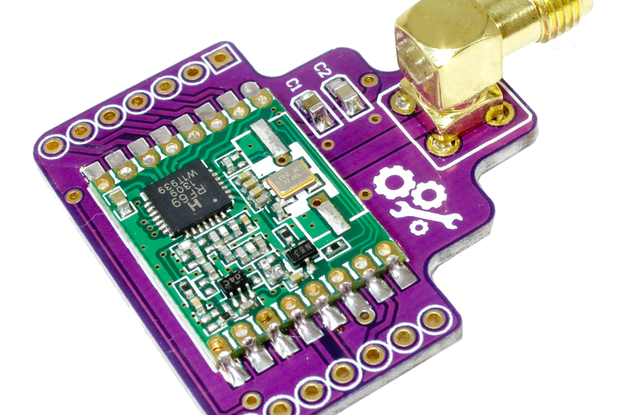 We've shared our nanoTRONICS32 Mouser Shopping Cart - it contains everything you need except the SIL Male Headers, LCD and RF modules, you'll need to add these if you require them.